Feedback we received last week lamented that we had neglected to mention the role of the Queen and the Governor-General in the Parliament. We always try to answer our readers questions, so this week we have researched the powers of the Queen and her representative in Australia, the Governor-General. The Queen is mentioned in the Constitution 47 times, the Governor-General 65 times, but the Prime Minister is not even mentioned once. With all those mentions, the Constitution gives the impression that the Queen has a lot of power. However, in reality, the Queen exercises very little power. The key power that the Queen does exercise is to appoint the Governor-General, however this must be done on the advice of the Prime Minister. This wasn’t always the case, but Australia has become more independent since Federation in 1901. In 1930 Prime Minister Scullin asserted his recommendation that the Australian born Sir Isaac Isaacs be appointed Governor-General. The King had wanted to appoint the English Baron Field Marshal Sir William Birdwood, but reluctantly agreed on the advice of his Prime Minister, making clear his displeasure. Prior to the appointment of Sir Isaac Isaacs, all Governors-General were chosen by the English Monarch. This was a turning point and since that appointment in 1931, the Monarch has been generally bound to accept the Prime Ministers advice of Governor-General through constitutional conventions. We still had a lot of English Governors-General after this time, but they were all chosen by the Prime Minister. The Statute of Westminster gave Australia’s Parliament equal status to the UK Parliament and after a period of time where discussions raged about the independence of Australia, we ratified the Statute of Westminster in 1942. Another part of the Constitution that looks like the Queen has significant power is section 74, which allows for judicial appeals to the Queen in Council. An anachronism and an absurdity. A unity of law over the whole empire. In the end, appeals to the Privy Council were limited to those with leave of the High Court. However, with the introduction of the Australia Act in 1986, we gained even greater independence and all appeals to the Privy Council were abolished. Our High Court is now the end of the road when it comes to appeals. With 65 mentions in the Constitution, the Governor-General also appears to have a lot of power and he or she does have a large role within our system of government than the Queen. But in almost all cases the Governor-General must act on the advice of the Prime Minister. Section 1 of the Constitution states that the Parliament of Australia is made up of the Queen, the Senate and the House of Representatives and section 2 states that the Governor-General shall act as the Queen’s representative in Australia. Then we have Section 61 that states that the Executive Power of the government is vested in the Queen and the Governor-General. However, as the Queen cannot act without the advice of her Prime Minister, the vested power given to the Governor-General means he or she must also act on the advice of the Prime Minister. Another term that comes up a lot in the Constitution is “Governor-General in Council”. This is defined in Section 63 as meaning that the Governor-General must act on the advice of the Federal Executive Council, which is made up of senior and junior ministers. CEFA Director Malcolm Hazell, who was the Official Secretary to Governor-General Michael Jeffery, who is now chair of the CEFA Board wrote that this council normally meets every fortnight, with at least two ministers and the Governor-General attending. So if the Governor-General is acting as the Queen’s representative he or she must follow the advice of the Prime Minister and when the Constitution refers to the Governor-General in council he or she must also act on the advice of the Prime Minister. But as we know, the Queen can only act on the advice of the Prime Minister and when the Queen’s power is vested in the Governor-General, he or she can also only act on the advice of the Prime Minister. Section 8 of the Commonwealth Defence Act 1903 gives general control and administration of the defence force to the Defence Minister, who is NSW Senator Marise Payne. While command of the defence force is vest in the Chief of the Defence Force, who is Air Chief Marshal Mark Binskin. The Governor-General on the advice of his or her Ministers does appoint the chiefs and commissions officers to the defence forces and has an important ceremonial role with the defence forces. So what does Governor-General do? …to ensure that the policies and decisions recommended for approval are legal and appropriately authorised by the Executive Government. So the Governor-General is the final check on decisions and legislation. They will make queries to relevant Ministers to ensure that all decisions are legal and constitutional. But how does this occur? The Governor-General must give Bills the Royal Assent before they become the law of the land. To ensure that the processes have been followed, that the Bill is constitutional and legal and that it has passed both Houses in the same form, the Governor-General will normally receive written assurances from the Attorney-General and the Clerks of each House of Parliament. If there is something wrong in the process, the Governor-General can recommend changes to the Bill (not normally to the substance). So the Governor-General is the final check that the process of forming legislation has been followed correctly. On the advice of the Prime Minister the Governor-General starts the process of an election. We saw this recently when the Prime Minister and the Attorney-General wrote a letter to the Governor-General advising him to dissolve the parliament. And after the election we’ll see the Governor-General, opening the Parliament, commissioning the Prime Minister and swearing in the other Ministers. The Governor-General also conducts many honours, awards and citizenship ceremonies and has an important community role. 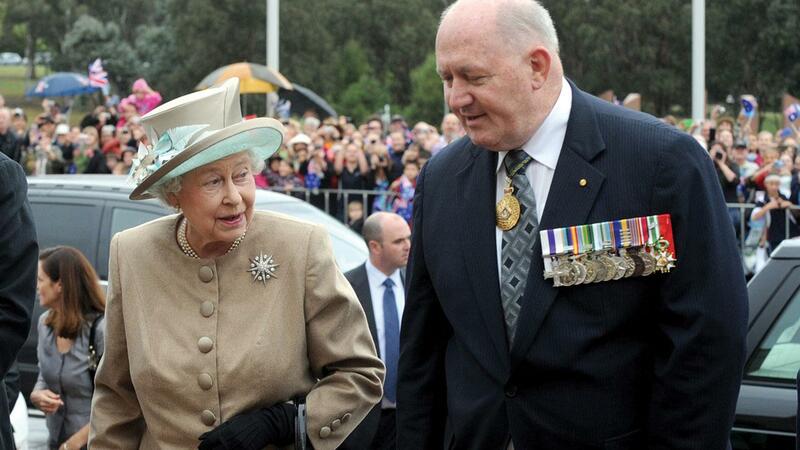 In the community the Governor-General is seen as an impartial and important role model for our democracy. He or she is seen as above the day-to-day political fray. In total the reserve powers have only ever been used four times. The big power that the Governor-General has, is that he or she can sack the Prime Minister. But only in limited circumstances. The Prime Minister can also sack the Governor-General (he or she sends a request to the Queen who has to follow the Prime Ministers advice). Why is this power balance important? This is the final check on these two positions. If either the Prime Minister or Governor-General act improperly they can be removed. In some other countries it is almost impossible to remove a head of government. Our system has been designed so that this can occur if needed. Only one Prime Minister had ever been sacked by a Governor-General. Whitlam in 1975 and we all know that story. Just to put this in perspective, six sitting Prime Ministers have been sacked by their own parties since 1901. But has a Governor-General been sacked? Because of the high level of respect of the position, Governors-General are normally given the opportunity to resign, rather than be sacked. This was the case with Governor-General Peter Hollingworth in 2003. Senior members of the Government were forced to make public statements asking for his resignation before he finally resigned. There have been a number of Governors-General resign their positions early, especially early on after Federation when the power relationship was less formalised and often frosty. There has been a lot written about Prime Ministers complaining that a Governor-General was spying on them and sending information back to the United Kingdom, causing tensions between the two. Since federation, the powers of the Queen and the Governor-General have been whittled down. Which always inevitably brings us to the question as to whether we should have a referendum to replace the Queen and the Governor-General in the Constitution, with an alternative head of State and form a republic. There is a power balance between the Prime Minister and the appointed Governor-General that helps to keep our democracy stable. If we were to become a republic, the Constitution needs to be altered so that the current safeguards are maintained. For instance if an elected person took over the role of Governor-General the power balance would be altered. Do you think this would cause any unintended consequences? The power balance between these two important roles in our democracy has shifted significantly since 1901 anyway.